I'm already on my way now. Hatsune Miku's latest adventure is releasing on September 8 in North America, and you can get a head start on the game now by heading to the 3DS eShop and nabbing a special demo to play right now! 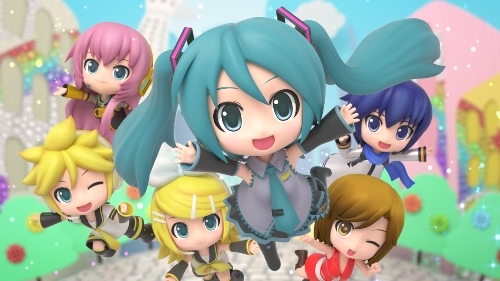 The demo includes two full tracks: "LOL -lots of laugh-" (which is exclusive to Project Mirai and "Senbonzakura." I'm on my way to download the game right now, but two songs just aren't enough! I'm going to need more to whet my whistle, so I'll probably be heading to preorder a copy since the special launch edition comes with 19 AR cards featuring Miku and her friends and even a wallet chain like Miku's familiar outfit. Hatsune Miku: Project Mirai DX looks absolutely adorable, so if you want in on it, better go ahead and nab an early copy from the retailer of your choice! There probably won't be that many to go around, if it goes the route of the other Miku games that came to the West.